Select few professionals are possessed of the skill, passion and sheer tenacity to break record after record in their chosen field. And fewer still can stake that claim in more than one arena. 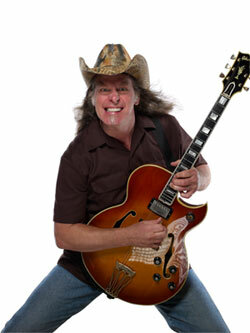 To millions of music lovers, Ted Nugent has carved a permanent place in rock and roll history as the guitar-shredding showman, selling more than 40 million albums, performing more than 6,400 (!) high-octane concerts, and continuing to set attendance records at venues around the globe. From the ground breaking Amboy Dukes’ hit “Journey to the Center of the Mind”, to classics like “Stranglehold” and “Cat Scratch Fever”, Damn Yankees chartbuster “High Enough,” and cult classic “Fred Bear”, Ted’s no-holds barred career spans five decades, and has been featured on A&E’s Biography and on VH1’s Behind the Music. Named Detroit’s greatest guitar player of all time by readers of MLive!, Nugent performed for 55,000 marines, sailors and families at Camp Pendleton’s Rockin’ the Corps, was honored to join fellow musician Toby Keith on a USO Tour of the Persian Gulf, and has donated in excess of 6000 concerts and backstage passes to individual troops stateside. 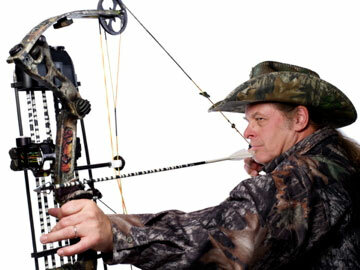 Nugent has been named favorite Hunting Personality by the readers of Outdoors Magazine. He was inducted into the National Bowhunters Hall of Fame, marking the pinnacle of recognition for Nugent as a bona fide Bowhunting Legend of the 21st Century, acknowledged for his skills as an outdoorsman, and for his tireless promotion of bowhunting via his writings for over 40 publications, his New York Times best-sellers Ted, White & Blue: The Nugent Manifesto and God, Guns and Rock ‘n’ Roll, along with Kill It and Grill It, BloodTrails and BloodTrails II, and his award-winning Ted Nugent Spirit of the Wild television show — seen exclusively on Outdoor Channel — where he proudly serves as Ambassador for the network. Ted Nugent and Kid Rock getting together for a raucous night of hard rock at the 2018 Great Jones County Fair! Miss this show and you'll miss the rock party of the year on Saturday July 21 at the 2018 Great Jones County Fair!